Within today's competitive environment, where customers are more empowered than ever, organizations are looking to differentiate themselves from the competition and reduce customer churn through improvements in customer satisfaction. A recent Forrester survey found that 86 percent of decision makers rank their customers' experience as one of the top strategic priorities, and that 68 percent want to be customer service leaders in their industry. However, improving customer experience is no easy task. Companies must truly understand their customers, take into consideration the full spectrum of support they demand, as well as span the different channels their clients prefer for support. Adding to this challenge, budgets allocated to improve the customer experience are low, or non-existent, as companies remain focused on reducing costs. How does today's customer support organization manage to respond? 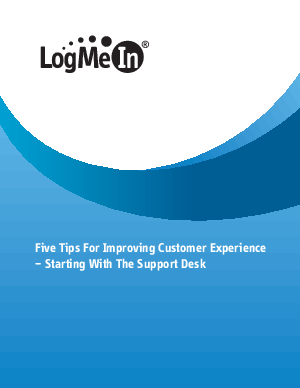 The answer lies in building a better support desk that will let you do more with less without sacrificing on support quality or end-user satisfaction.